Online marketing is a continuously evolving process. The aim is to know and understand the customer so well that the product or service sells itself. With the growing importance of E-Commerce, digital marketing has become crucial to master. 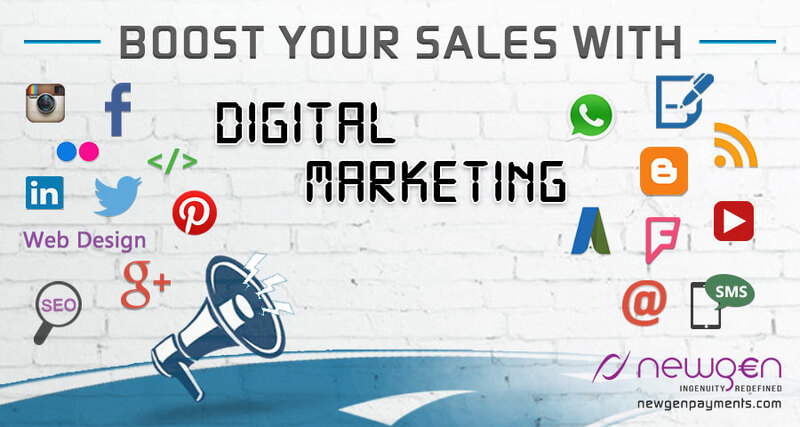 Digital marketing is cost-effective, has a wider reach and does not limit itself geographically. If you run an online business, it is important for you to understand how imperative digital marketing has become for your survival and growth. Let’s take a look at how two leading brands found success with strategic digital marketing, and how you can learn from them to get better results for your own E-Commerce brand. Gawker Media is a major online media company and blog network, with 8 online brands and an online audience of tens of millions. They seemed to be an Internet powerhouse with their large brand presence, but when they studied their visitor acquisition carefully, it was quite evident that their popularity was not reflected in the analytics reports of their website. They were unable to draw enough people to reach them through search engines, in spite of having a large advertising budget. They realized that they were losing a significant number of potential visitors and page-views due to a suboptimal SEO strategy. Gawker Media took concrete measures to help them leverage their SEO to increase their traffic. Gawker implemented on-page search engine optimization practices: Creating proper sitemaps according to SEO best practices, redesigning keywords for title tags and headings. They built internal links to create better flows of contents, identifying and rectifying their thousands of blog posts. They trained their writers and helped them to improve the quality of their content. They facilitated major improvements in site loading time for better SEO, including image optimization, better caching to decrease loading times, and removed inefficiencies by cleaning up the website’s HTML/CSS code. Gawker Media saw a huge increase in the number of visitors coming from search engines. They got 5 million additional visitors within 3 months via organic search, 11% more page views than the previous month. A 24% growth in search traffic was a huge success for Gawker Media. In the summer of 2013, Coca-Cola, the world’s largest beverage company, launched a brand-new marketing campaign called “Share a Coke” to better establish their brand with Australia’s online generation, by harnessing the power of viral marketing within social networks. This campaign came after both Coca-Cola and Pepsi had been spending millions on online advertising over the past few years, with mixed success. This social media campaign sparked a sharing frenzy across Australia and went on to become one of their most popular and successful campaigns, which they then replicated and launched in many other countries. Coke replaced their usual celebrity-heavy campaigns with a multichannel media campaign that allowed customers to buy Coke bottles custom-printed with their names - having the choice the 150 most popular names in Australia. It was a multimedia effort, with TV adverts, billboards, and experiential marketing where participants could buy their own custom-made bottles. The campaign’s main success came through digital platforms, with each bottle carrying the hashtag #shareacoke, in order to persuade customers to share their unique bottles’ photos printed with their names on social media. They launched a coordinated social media campaign across the most popular social networks, triggering a viral campaign that encouraged sharing Coca-Cola’s bottle images on these platforms. They encouraged customers to participate by creating and sharing online media content within their own social networks, bringing the branding message organically to their friends and families. Coca-Cola connected their brand with the consumers at a personal level, by using a simple but powerful call to action in their campaign, which was made to be viral and easy to share online. The campaign showed that content personalization and promoting the sharing of the brand’s campaign on social networks can be highly engaging and effective in triggering viral marketing. This campaign resulted in a 7% increase in sales. It also earned a total of more than 998 million media impressions, thereby creating enormous brand recognition amongst its consumers. Traffic on the Coke Facebook site increased by 870%, with page ‘likes’ growing by 39%. First and foremost, you need to recognize the fact that SEO is a continuous process for your online presence. It goes hand in hand with the constantly evolving technological changes taking place, and it does not have a start or end date. We also need to note that solely relying on pay-per-click (PPC) advertising is a thing of the past and is not sufficient anymore to drive new visitors to your webstore. The modern consumer is drawn towards informational and experiential content, not merely promotional content. They need a better reason to visit you and convert into a customer. Content is the key to your success. Delivering unique and shareable content with your visitors via blogs and posts is bound to increase your popularity and conversion rates. Engage your visitors. Give them a reason to stay on your site, explore and make purchases by incorporating creative, interactive content. Build hype for your product by regularly publishing interesting posts on social media platforms. Strong calls to action can work wonders for your webstore. Engage your visitors to do something: share a promotional campaign, sign up for your informational blog series, or click on a limited time offer to claim it, etc. These are a few lessons from these two case studies which you can use to surpass your competitors and increase your online visitors and conversions. Do you want to see these changes in your E-Commerce website as well? Contact us for an in-depth E-Commerce and Digital Marketing consultation to learn how you can better increase your traffic and boost sales. Payments reconciliation – one version of the truth! Going Dutch – The Newgen Way!